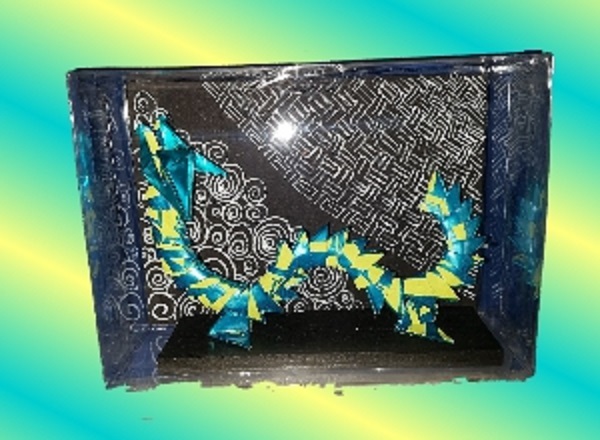 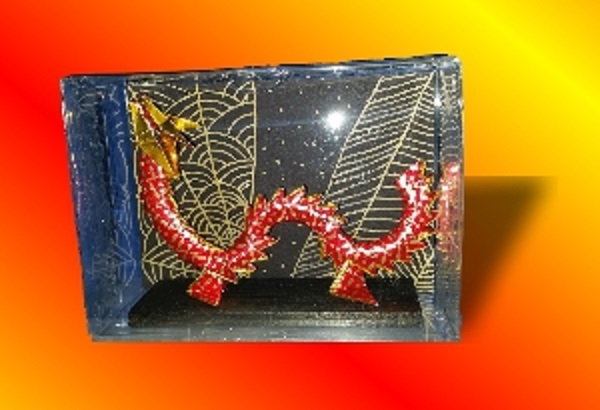 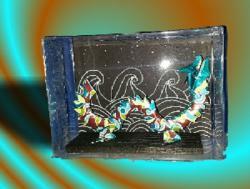 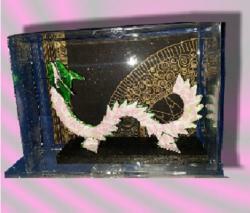 Origami Dragons - varied colors, housed in clear acrylic boxes, with hand decorated backdrop. 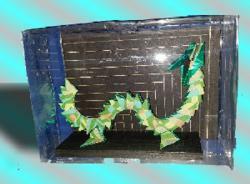 Each dragon is made from approximately 75 pieces of paper. The bases for these dragons are recycled wood (for those of you who remember - the wood is recycled kamaboko boards!). 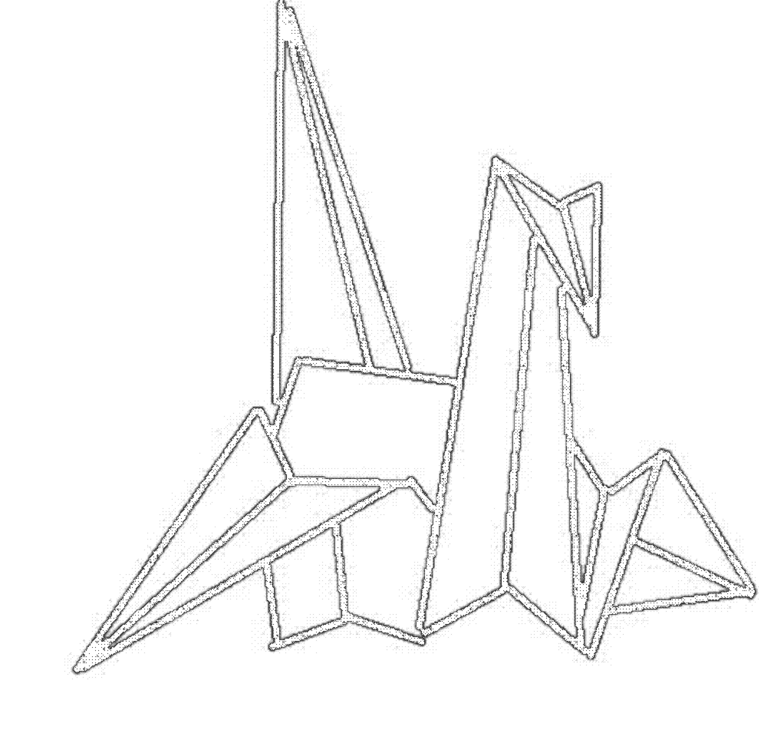 Dragons, origami style - $25.00, Glo-in-the-dark versions - $30.00 (applicable sales tax will be added). 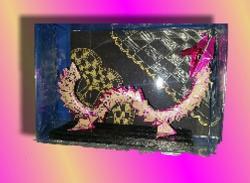 These items can be shipped!